Meet the Burridge lab team members. We welcome requests for information about our work and collaboration opportunities. Dr. Burridge is an assistant professor in the Department of Pharmacology at Northwestern University Feinberg School of Medicine and a founding faculty member of the Center for Pharmacogenomics. Dr. Burridge began his career in genomics and bioinformatics at the Sanger Institute working on the human and mouse genome projects. He completed a PhD in Human Stem Cell Biology at the University of Nottingham before pursuing postdoctoral fellowships at the Johns Hopkins University in Pediatric Oncology and then at Stanford University in Cardiology before becoming an Instructor in Cardiovascular Medicine at Stanford. For more than 15 years, Dr. Burridge has worked on the applications of human pluripotent stem cells (both hESC and hiPSC), concentrating on culture and differentiation methodologies, regenerative medicine, and disease modeling, specifically the pharmacogenomic and molecular mechanisms of chemotherapy-induced cardiomyopathy and heart failure. Dr. Burridge is the recipient of the NIH NHLBI Pathway to Independence Award and a Fellow of the American Heart Association in Genomic and Precision Medicine. Ansel earned his PhD in Molecular Cell and Developmental Biology from the Leonard M. Miller School of Medicine at the University of Miami. His thesis work focused on the role of growth factors in the development of left ventricular hypertrophy. He was a member of the Medical Scientist Training Program (MD/PhD) and after completion of medical school, he was accepted to the Physician Scientist Training Program at the Feinberg School of Medicine at Northwestern University. Ansel has completed residency in Internal Medicine and is currently a clinical fellow in Cardiology. He began his postdoctoral research in the Burridge Lab in the summer of 2018, where he focuses on hiPSC models of heart failure and drug efficacy. 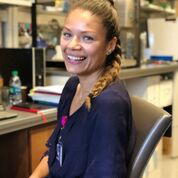 Training: Malorie earned her PhD in Human Genetics from Sorbonne University in Paris in 2018. There, she focused on the identification of new variants causing cardiac arrhythmias with a risk of sudden death by using exome sequencing analysis and functional studies on calcium channels. She is interested to pursue her career on rare cardiac arrhythmias using other relevant technologies such as genome sequencing and hiPSC. 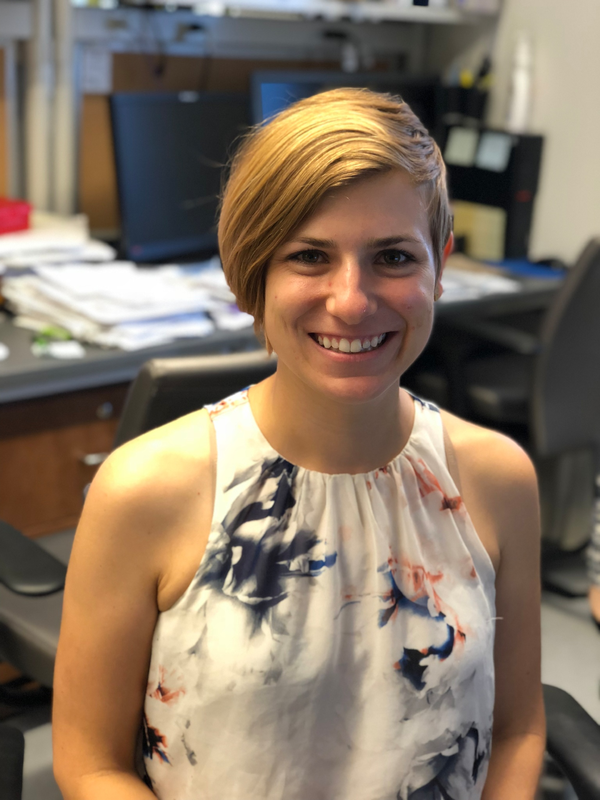 She started her first postdoctoral research in Burridge Lab in February of 2019 and works on hiPSC models of sudden cardiac death. Mariam earned her PhD. in Electrophysiology and Stem cell biology in 2015 from the University of Nantes in France. During her PhD, she worked at L'unité de recherche de l'institut du thorax and got trained to perform electrophysiological characterization of hiPSC-derived cardiomyocytes. She was further interested in translational medicine, so following her PhD., she started her first postdoctoral fellowship at UHN, Toronto General Hospital under the supervision of Dr. Michael Laflamme. 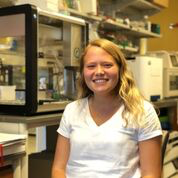 She joined Burridge Lab at Northwestern University in July 2018 and works on novel variants causing long QT syndrome. Tarek Mohamed earned his PhD in pharmacogenomics from the School of Pharmacy, Eberhard Karls University of Tuebingen in Germany. While earning his PhD, he worked as an early-stage researcher within a European Union sponsored research programme entitled “FightingDrugFailure” as a part of Marie Curie Initial Training Network (ITN) at the Dr. Margarete Fischer-Bosch institute of clinical pharmacology in Stuttgart, Germany. He started his postdoctoral studies in Burridge Lab at Northwestern University in September of 2015. Adam earned his PhD in Biomedical Engineering from Stony Brook University investigating the use of adult stem cells for cardiac regeneration. He subsequently earned his MD from the University of Michigan Medical School. He went on to complete residency in Internal Medicine and clinical fellowship in Cardiology at Northwestern University before doing postdoctoral research in the Division of Vascular Surgery at Northwestern. He began his postdoctoral research in the Burridge Lab in 2016, where he is continuing his interest in the development of cell-based therapeutics for cardiovascular disease using direct reprogramming. Deborah earned her MD from the University of Washington School of Medicine and went on to complete her residency and chief resident year in Pediatrics at The Children's Hospital at Montefiore/Albert Einstein College of Medicine. She is currently a Pediatric Critical Care Fellow at Ann & Robert H. Lurie Children's Hospital of Chicago. She joined the Burridge Lab in 2017 and is interested in the application of precision medicine in cardiovascular disease. Helen obtained her BS in Biology and Nutrition Science from Purdue University. Her focus is on hiPSC media optimization for enhanced proliferation. She also works with Tarek for his drug-induced cardiotoxicity projects by reprogramming hiPSC and doing drug testing on cardiomyocytes. Helen plans to pursue a doctoral degree with a focus on using hiPSC to study disease pathogenesis in the future. Mike has a B.S. in Chemical and Biomolecular Engineering from Georgia Tech and recently received an M.S. in Biotechnology from Northwestern. Mike’s work is focused on understanding the effect of stem cell confluence prior to cardiomyocyte differentiation. He is also focusing on direct reprogramming using patient-derived primary fibroblast lines. Mike is interested by the intersection of cardiovascular biology and engineering, and he plans on pursuing a doctoral degree in the future. Ashley is a PhD student in the Driskill Graduate Program (DGP) at Northwestern. She received her BA in Biological Sciences from Mount Holyoke College. Before joining the Burridge lab, she worked in drug discovery and clinical research. She is focusing on chemotherapy-induced arrhythmia, cardiomyocyte subtype specification, and maturation in the Burridge lab. Kevin received his BS degree in Biomedical Engineering from Rose-Hulman Institute of Technology and is currently a student in the Master of Biotechnology Program at Northwestern University. His research interest is in stem cell differentiation optimization and disease modeling. Emily is an MD/PhD student in the Medical Scientist Training Program and Driskill Graduate Program (DGP) at Northwestern University. She received her B.A. from the University of Illinois at Urbana-Champaign. Before joining the Burridge lab, she worked in clinical research with a focus on pharmacotherapy for pregnant women. Her current project uses a pluripotent stem cell-derived model to study nilotinib-induced peripheral artery disease. Marisol is a PhD student in the Driskill Graduate Program (DGP) at Northwestern University. She received her AB in Human Developmental and Regenerative Biology from Harvard University. Before joining the Burridge lab, she worked as a technician at the Ragon Institute of MGH, MIT, and Harvard. She currently works on direct reprogramming. Carly is a PhD student in the Driskill Graduate Program (DGP) at Northwestern, where she is studying hiPSC models of breast cancer. She received her BS in Biochemistry from Elon University while conducting research in analytical chemistry. Strategies to promote cell and tissue regeneration remain at the forefront of cardiovascular biology. I have a scientific background in myogenic stem cells and skeletal muscle regeneration. At Northwestern University, I spent some years studying myocardial targeting by pathogens, specifically T. cruzi, the leading cause of myocarditis and heart failure in endemic regions of Latin American. However, as a practicing cardiac intensivist, my research program has shifted to the study of pediatric heart failure. I am interested in the response of resident progenitor cells to aging and heart failure. We suspect an epigenetic basis for cardiac progenitor cell activation in patients with premature ventricular failure secondary to exposure from neurohormonal axis activation. In partnership with the pediatric cardiovascular surgeons we created a cardiac biorepository to further translational research across the institution. Through collaboration with the Burridge laboratory I hope to determine the differentiation potential of resident cardiac cell populations and optimize direct reprograming of primary cardiac fibroblasts. We hope that knowledge of the phenotype of resident cells and their reprograming potential will enable clinical cryobanking, ex vivo reprogramming, and in situ cell manipulation to extend the lives of children and young adults with progressive heart failure from cardiomyopathy and congenital heart disease. We have implementing the Fontan Futures Initiative to optimize atrial tissue cryopreservation and enable clinical grade biobanking on behalf of patients with single ventricle physiology who are likely to progress to end-stage heart failure through a generous endowment from the Mathews Center for Cellular Therapy at Northwestern Medicine. Mohammed Nooruddin earned his BS in Biology from Loyola University Chicago in 2014. Prior to joining the Department of Pharmacology at Northwestern University Feinberg School of Medicine, he worked as a Clinical Research Coordinator in the Department of Medicine at the University of Chicago and the Bluhm Cardiovascular Institute at Northwestern Memorial Hospital. Mohammed is currently involved in managing multiple clinical research projects and is interested in pursuing medical school. He aspires to play a key role in Precision Medicine with a focus on Cardiovascular Pharmacogenomics.